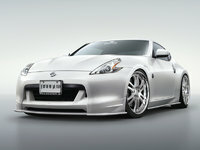 Looking for a Used 350Z in your area? 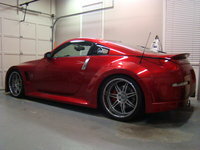 CarGurus has 723 nationwide 350Z listings starting at $3,995. The "new" Z was introduced to overall styling and performance acclaim in 2004 and received an engine upgrade in 2007 with minor hood resculpting - a slight center bulge reminiscent of the 240Z. For 2008, it sees few changes. In 2007, Nissan revised 80% of its highly acclaimed VQ 3.5-liter V6 (shared with the Infiniti G35 sedan). A higher block deck height resulted in longer connecting rods and a redesigned front-strut-tower brace, thus the hood bulge. 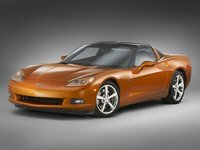 In addition to that, it received a new dual-intake system, revised cylinder head, revamped variable valve timing, higher compression, and a few other changes. While the additional 6 hp (the engine now produces 306 hp with the manual transmission) may not seem worth it, the more immediate improvement is an increase in the broader range of usable torque. Nissan has renamed the engine the VQ35HR, with HR standing for "high-revving," as the redline for the manual-transmission engine increased by 500 rpm to 7,500. Along with a performance increase, these engine tweaks have also improved gas mileage by 1 to 2 mpg for both manual and automatic transmissions; EPA estimates are 20/27 mpg. 0-60 comes up in 5.2 seconds with the manual 6-speed transmission; a 5-speed automatic is optional. Although taut, the suspension maintains control in all conditions and is easy to correct if a driver gets too enthusiastic. Based on Nissan's Front Midship chassis, shared with the Infiniti G35, the V6's engine mass rests aft of the front-axle centerline (two cylinders sit forward of the front axle and four aft of it), giving the Z close-to-perfect balance. Cornering grip is high and provides plenty of smiles per mile in the twisties. Steering is precise and well-balanced. The comfortable and intelligent interior is well laid out. Controls are within easy reach and intuitive. As one reviewer put it, you won't find "the unfortunate kudzu of over-elaborate techo-excess" that plagues BMW, Lexus, and other makers. And this is very much in keeping with Nissan's original intent for its Z cars. In addition to coupe and roadster versions, the 350Z is available in a new limited-production Nismo high-performance edition. Capable of 0-60 in 5.1 seconds, the Nismo has larger Brembo brakes and a tuned suspension, as it's basically the new factory "track" Z. More-aggressive front, rear, and side aerodynamics are topped off with a large rear decklid spoiler. Overall, few cars available below $30k can provide the same level of entertainment as the 350Z. What's your take on the 2008 Nissan 350Z? 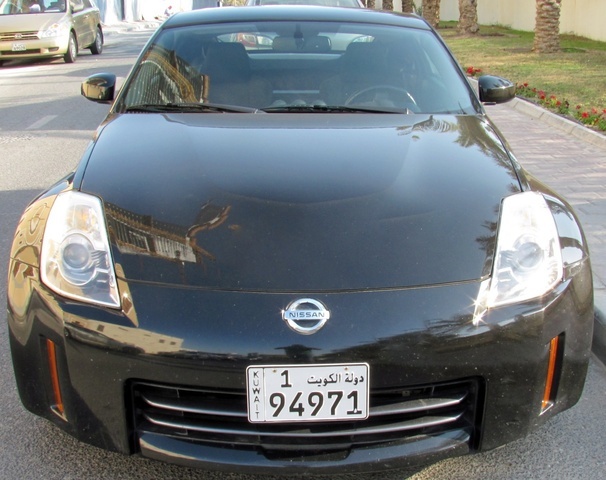 Have you driven a 2008 Nissan 350Z? About to change a battery on a 350z is there anything else needed after batter is changed? Just purchased a Z from a dealer in Tampa yesterday. Would like to leave a good review. How do I do this on this site? I Can't Find My Listing In App Or Website.